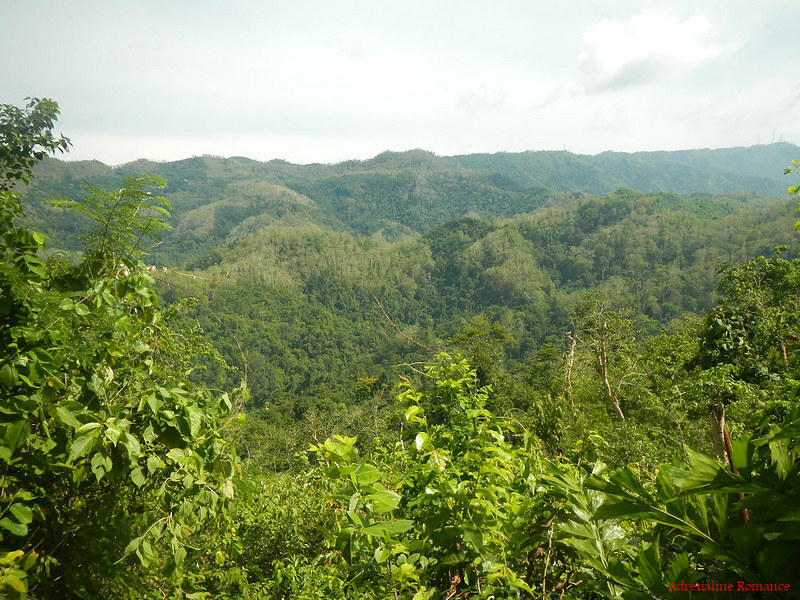 The Central Cebu Protected Landscape (CCPL) is one of the most important drainage basins and watersheds in the island of Cebu. It is here where the metropolis gets a large portion of its water supply. Indigenous birds such as the Cebu flowerpecker, streak-breasted bulbul, and black sharma make this watershed their home. 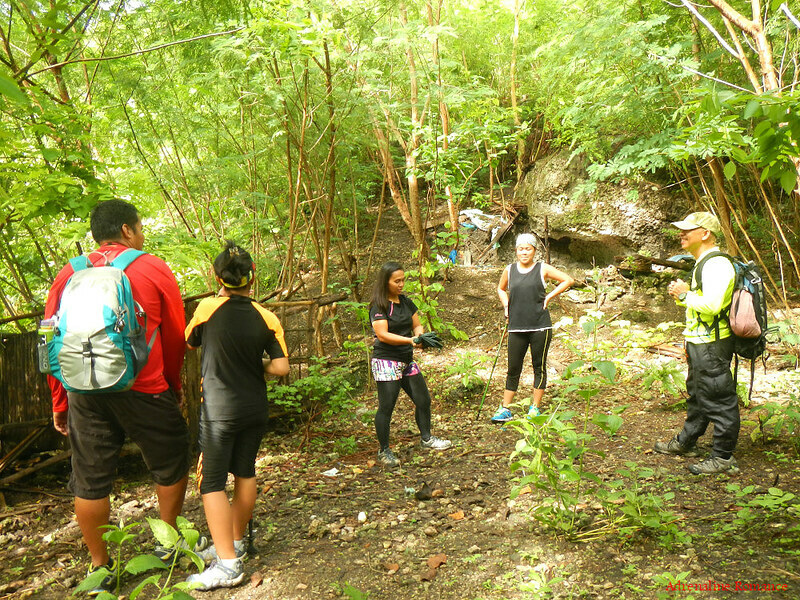 Rare plants such as the Cebu cinnamon tree can also be found here. As advocates of environmental preservation, we want to learn and explore more of this local natural treasure. This was supposed to be a warm-up and practice trek together with our friends Hayo and Princess for a scheduled major climb in Mt. Kitanglad and Dulang-dulang in Bukidnon. But due to unforeseen concerns, we had to cancel the climb. 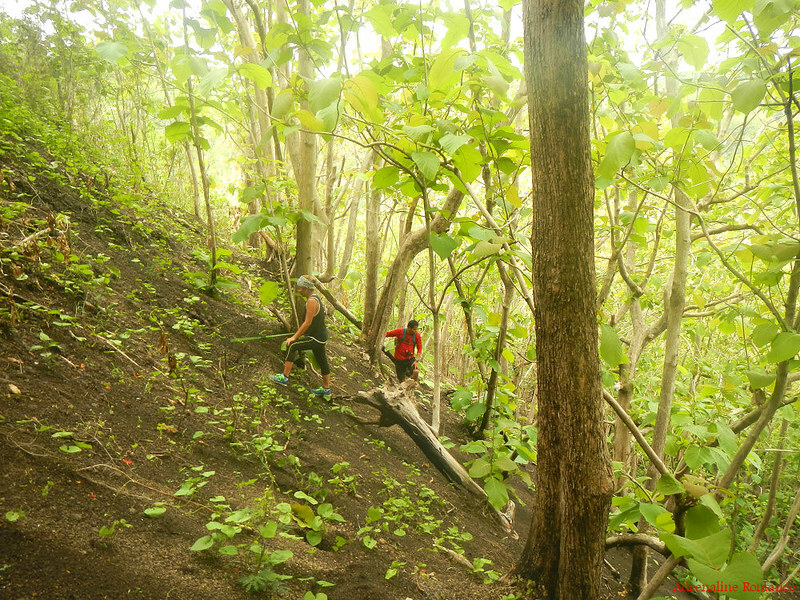 When we mentioned our intention for a practice climb, Sir Ed Dablo, one of our closest mountaineering buddies, suggested that we try out his team’s Dramatic Entrance trail which cuts through the CCPL. This beautiful trail was painstakingly blazed and baptized by our good friends Sirs Ed Dablo and Sien. Intrigued by the rather unusual name, we agreed. 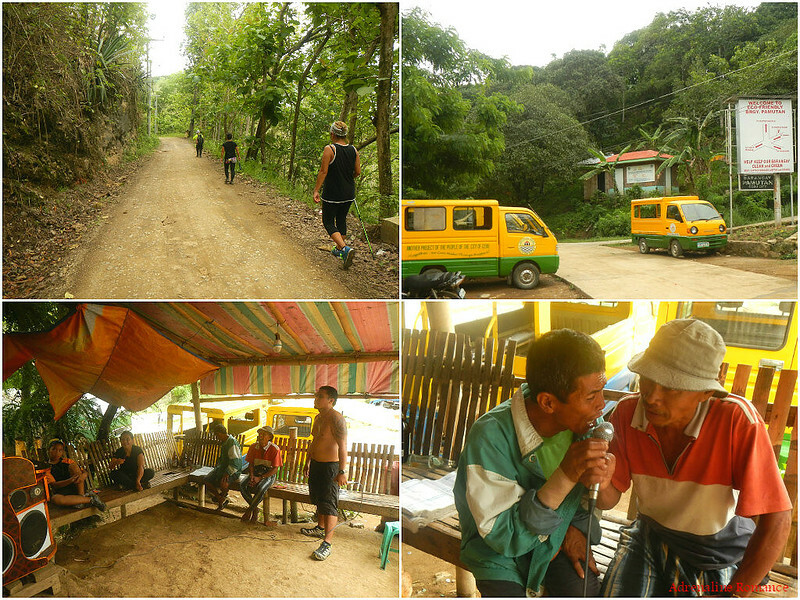 After a hearty breakfast at Hayo and Princess’s home, we started the trek towards Cebu’s spine. Now, check out the photo below. Does it look familiar? Yes, it is! 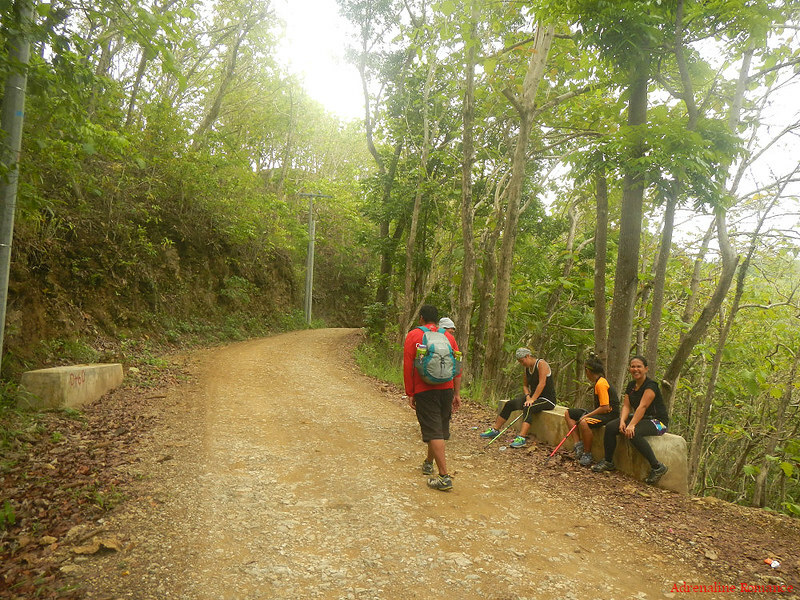 This was the same trail we used when we visited the Buhisan Watershed. At the right side of the trail is the Good Shepherd Mission. After half an hour of steady ascent, we came upon a shady area, a welcome respite of the sun’s ever-increasing heat. The weather was cloudy and gray but extremely humid due to an early-morning shower. The combination of heat and the humidity made the air uncomfortably hot and suffocating. Break was over, and we needed to get to the shade of the forest before the sun scorches the land. 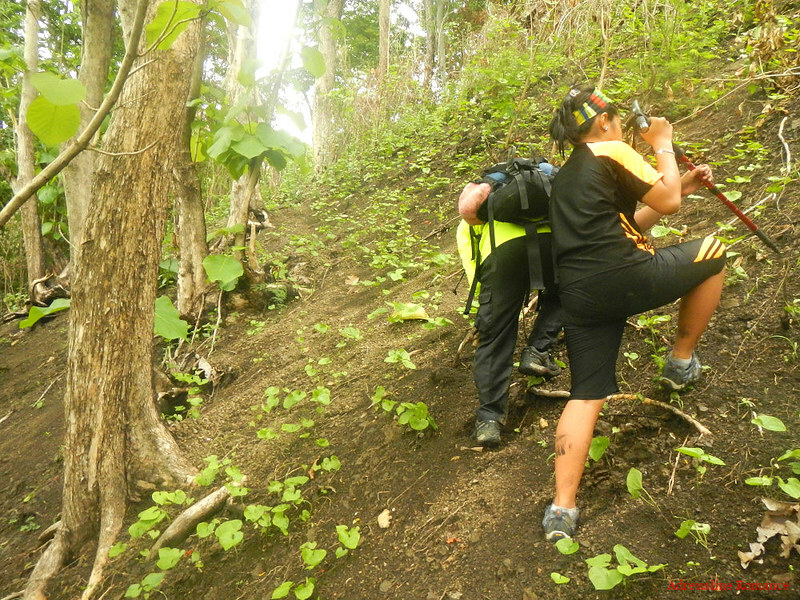 The first step, however, was to climb up this extremely steep hill with a 60-degree incline. With no leafy trees in sight, the ascent was strenuous and hot. This was the true start of the Dramatic Entrance. Compounding the ascent were the loose rocks and soil that make up the hill. 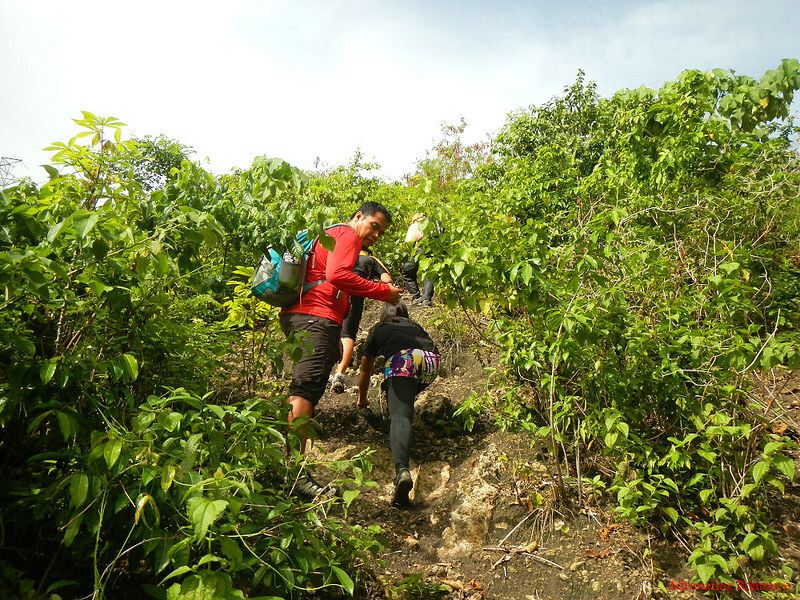 Climbing it was like dancing the Sinulog—one step forward, two steps back. Hehehe! At times, we need to go on all fours to climb the slippery hill. But it was worth it. 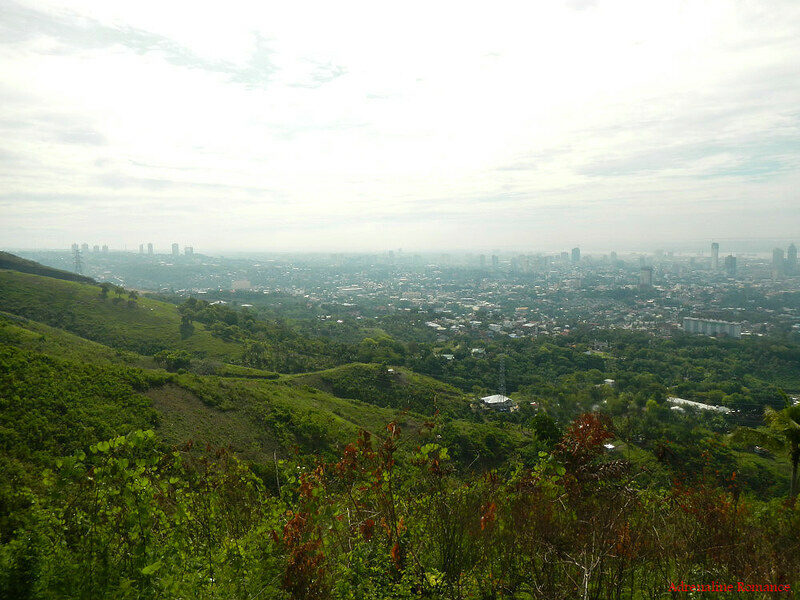 At the top of the hill, we were treated to a pretty picture of Cebu City, the Queen City of the South. With multi-colored and glittering lights turned on, this must be a spectacular sight at night. We had another short rest at the crest of the hill. But there was no time to waste; the sun was getting higher, brighter, and hotter. 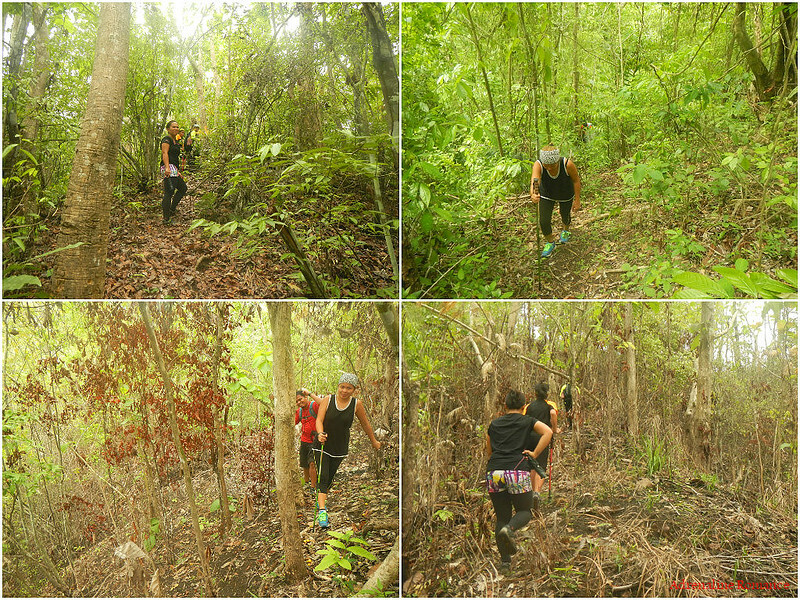 We continued along a farmers’ trail until we got to that large mango tree. 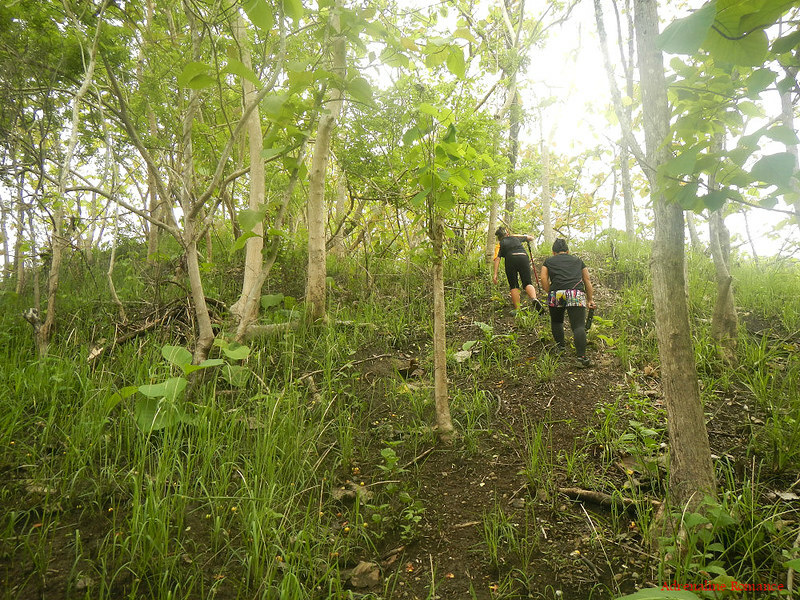 That tree marked the top of one of the slopes that make up Cebu’s central ridge. 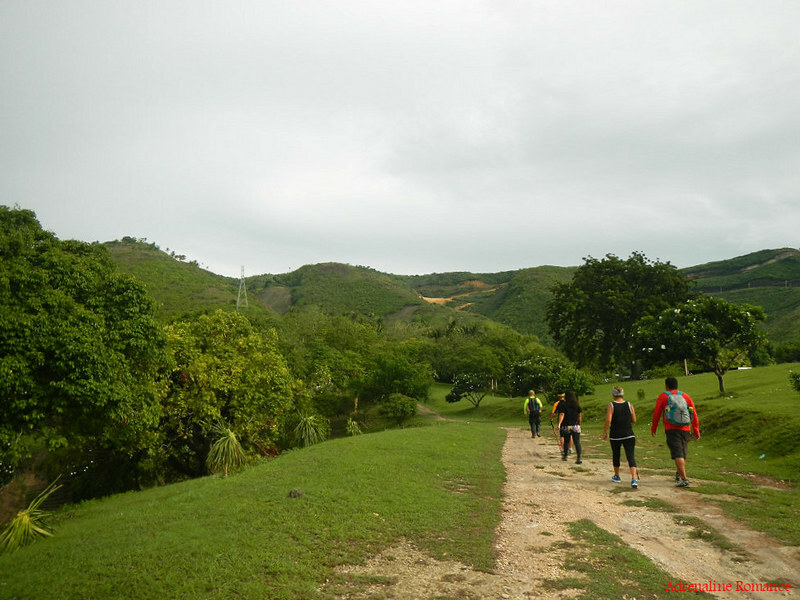 After a snack and a water break under the mango tree, it was time to descend to the Central Cebu Protected Landscape, a 29,000 hectare protected area as decreed through RA 9486. At this point, we can see the vast bowl of the CCPL. 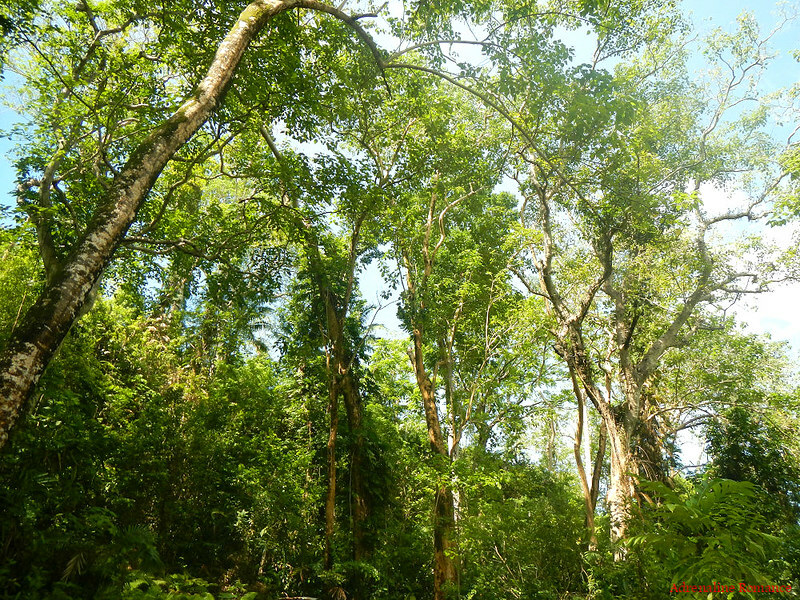 Despite the illegal logging, which we heard is rampant in the area, the forest is still verdant and beautiful as you can see in the photo below. But the government should be adamant and persistent in monitoring the CCPL. 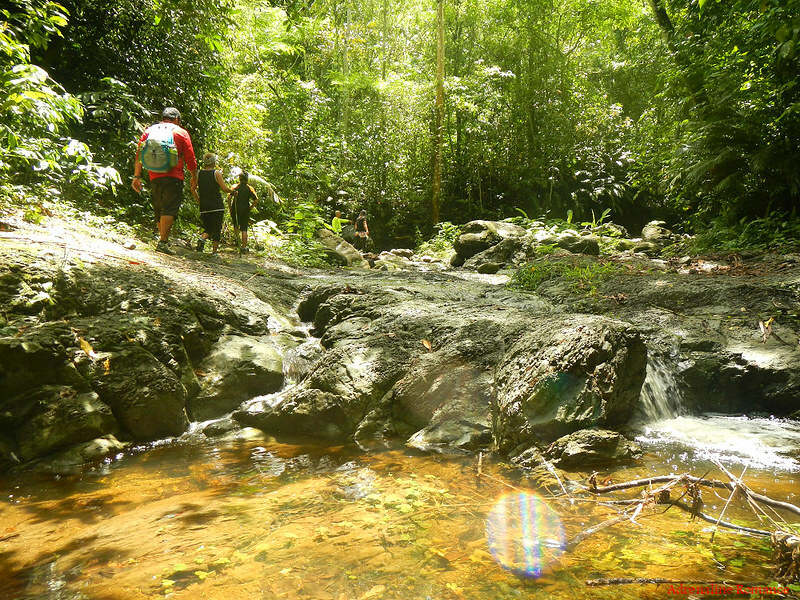 Remember that this is a legally protected area and one of Cebu’s last remaining watersheds. 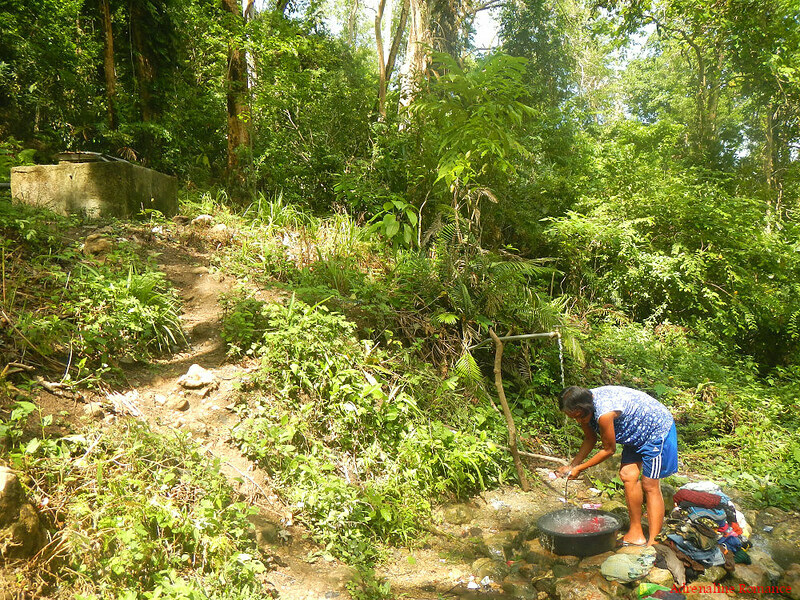 On the way to the riverbed, we found this old lady washing clothes in a water tank that is fed by a natural spring. She must have walked a few kilometers to get to this water source since we couldn’t see any other sign of civilization around. Giant first-rate trees stand like Goliath guardians of the forest. Trees like these are close to a hundred years old, but many are cut in mere minutes by axes and chainsaws. These trees ought to be protected as they have a very important function in the watershed. Deforestation in this part of the island happened way before the Americans came to our country. Reforestation efforts began when they constructed the Buhisan Dam during the 1920s. 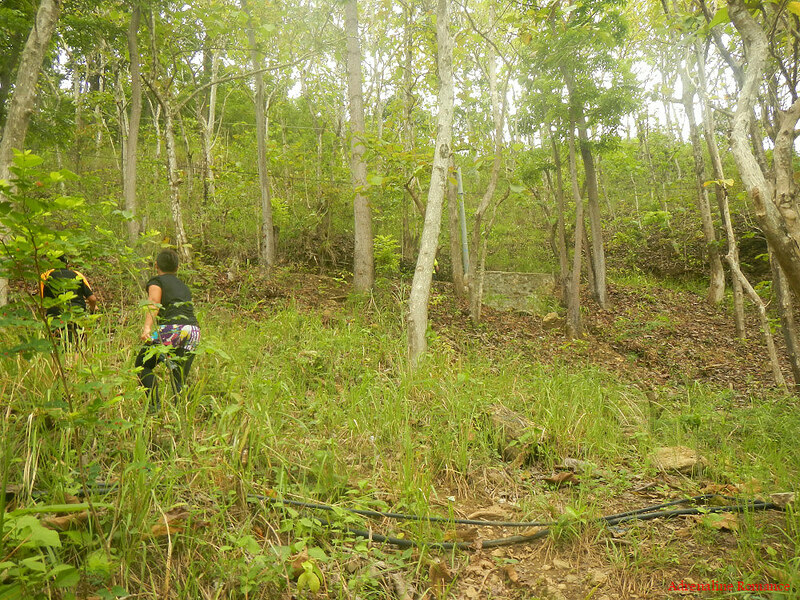 After almost an hour of descending and weaving through the forest, we arrived at the bottom of the CCPL’s bowl. During our last visit here, we turned left towards Buhisan Dam. 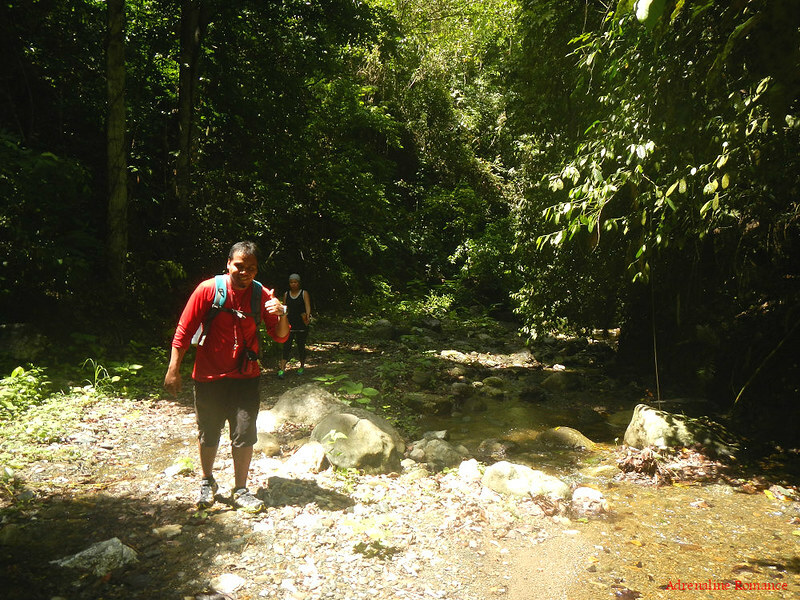 This time, Sir Ed led us upstream to the right side of the river. Check out the riverbed; it’s almost bone-dry! This may have been a powerful river in the past, but siltation has caused it to disappear. Today, the water is now diverted and utilized in the man-made lake behind Buhisan Dam. 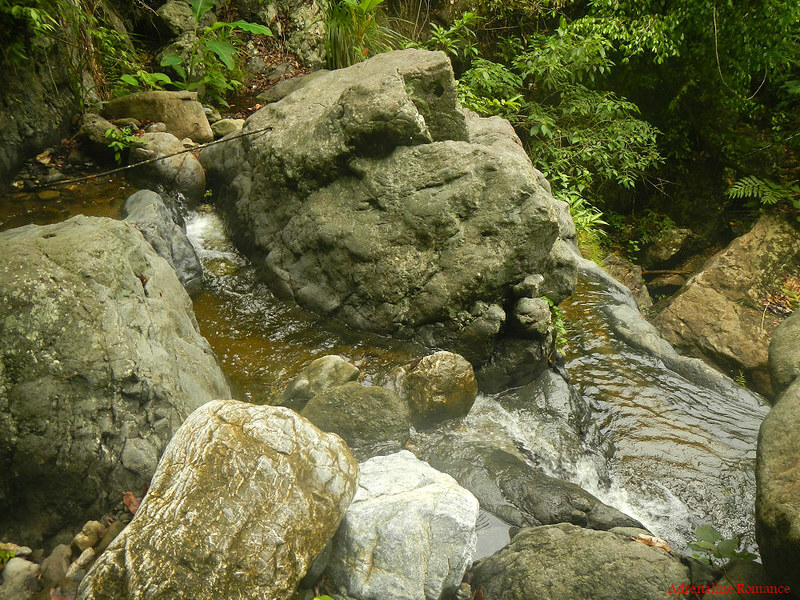 As we went further upstream, we welcomed the sight of a steady flow of fresh water of Buhisan Creek. This is just a small, quiet, and shallow stream—a ghost of what may once be a powerful river. Can you imagine 2.6 million people (Cebu’s population in 2010, according to a national census) sharing this minuscule amount of water? Now you can see why it is extremely important to preserve and protect our rivers and watersheds. Watch your step! In some parts of the river, the smooth, water-polished rocks are covered with moss. That means, they’re extremely slippery. In the cool depths of the forest, there are no other sounds than the gentle rustling of leaves, the incessant murmuring of the river, the shrill calls of birds, and—during this beautiful morning—the soft voices of six outdoorsmen. It is here where you can find solitude—where you can find the answers to the deepest questions that you harbor in your soul. At 11AM, we stopped at a cool and shady T-junction of the river where there was a clean water source. We decided to take our packed lunch here where we can drink all the water we want. 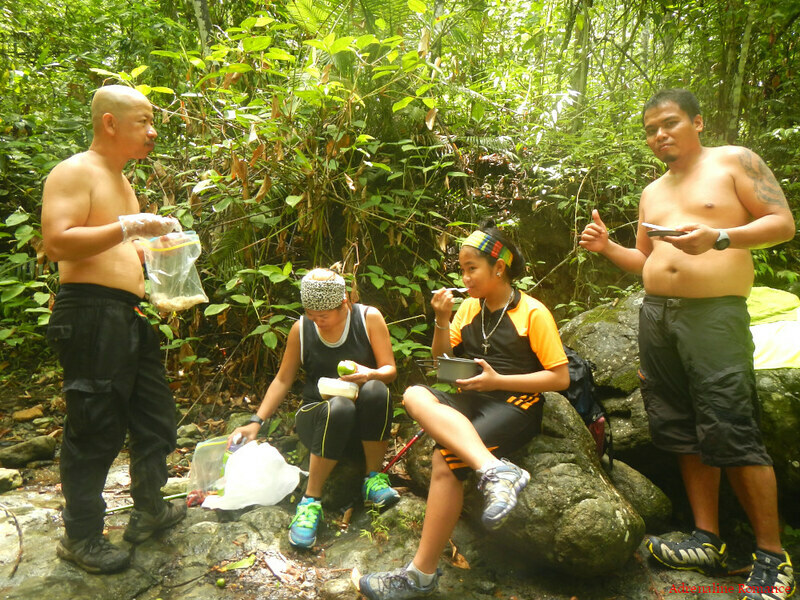 Satisfied with our simple yet filling lunch, we continued along the way where we temporarily exited the river to negotiate a muddy ascending trail. Sir Ed showed us the location of his secret hideout. He and his buddies used to tie hammocks in this well-concealed clearing where they could spend the night away from the hustle and bustle of city life. After negotiating a very narrow ridge that was mostly covered with vegetation, we came across the nice 20-foot Lesna Waterfall. We could have followed the river to this waterfall, but climbing it would be hazardous due to slippery rocks. This is another remnant of one of Cebu’s most abundant rivers. 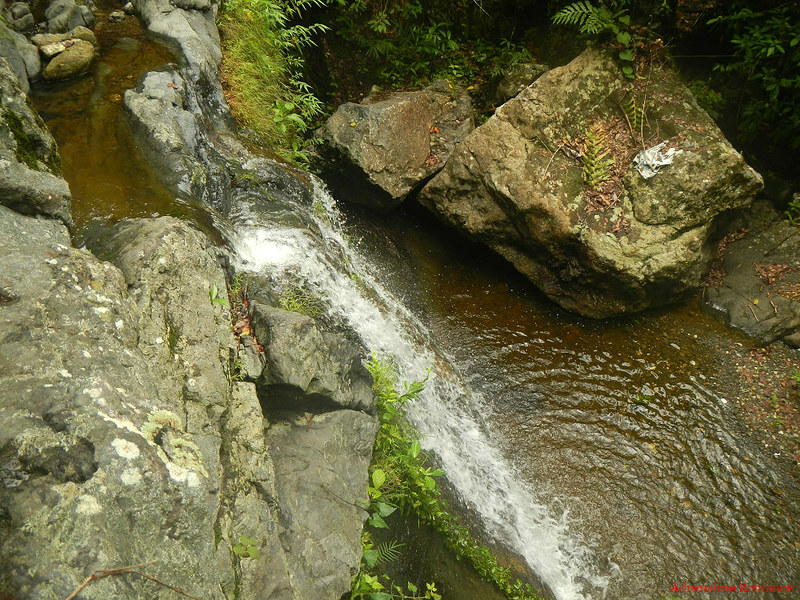 We believe that this was once a powerful waterfall that poured thousands upon thousands of gallons. Now, it’s a shadow of its former self due to massive deforestation and quarrying elsewhere in the river system. That’s the top of the waterfall and just a few yards from the ridge we were on. Don’t you just want to lie down on one of those pools and let the water massage you? After half an hour, we reconnected with the Buhisan Creek and proceeded to walk upstream. Whoops! Most of us were on the wrong side of the creek. So, to cross to the other side without wading through the water, we need to take a giant leap! 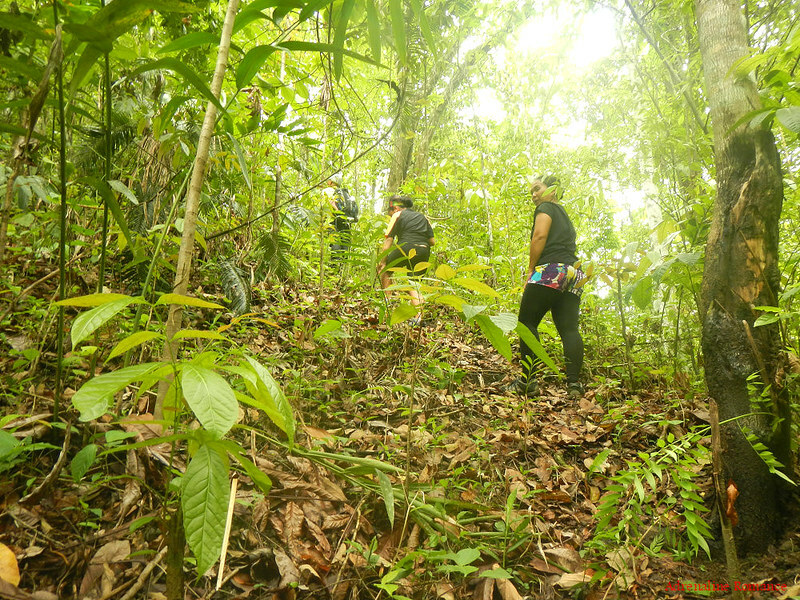 After awhile, we exited the river and began to climb another steep trail that is carpeted with loose soil and dead leaves. 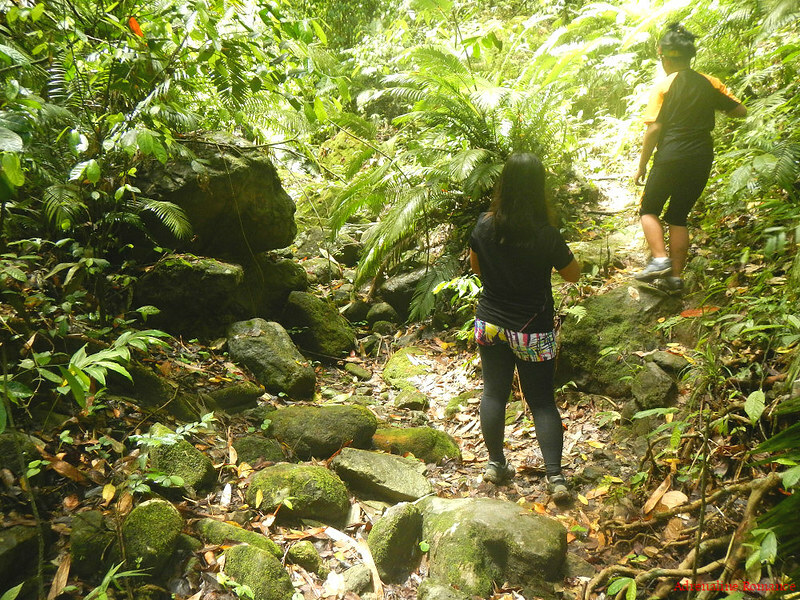 Sir Ed said this is the second Dramatic Entrance—named so because the steepness is so, well, dramatic. Whew! The ascent was considerably exhausting! Sir Ed was not kidding during the briefing. Good thing there are roots where we could anchor our feet and sturdy trunks to grab on to aid us in our ascent. This gigantic tree is probably part of the first-generation forest that covers the watershed. We hope local woodcutters won’t cut it; the massive tree is a centenarian by the looks of it. Here’s an interesting tidbit of information: the reforestation of CCPL was successful, but according to Sir Jing of Camp Red, we learned that the old timers planted the wrong trees! Yes, many of the trees here are fast-growing but invasive and exotic. Many do not fit the local flora and fauna. After a full hour of climbing, we gradually noticed the trees beginning to thin out. We could also see the sky, which meant that we were approaching the top of another ridge. This ridge forms the rim of the bowl that makes up the protected area. We need to cross this ridge to exit the mountain. Soon, we discovered that the trail did not go straight up the ridge. Rather, it skirted this very steep slope. The photo below is not edited; that’s how steep the slope is. In fact, for safety, Sir Ed had to dig footholds in the extremely loose, fine soil. Even our shoes, which feature aggressive treads, had a difficulty gripping the surface. We had to keep leaning to the right to counteract the slope or hold on to exposed roots. After successfully traversing the slope, we continued on our way, eager to see signs of civilization. We heard the hum of motorcycles somewhere. Yes, they seemed so near yet so far! Finally, after almost a full hour of walking, we saw real signs of civilization, a water pipe, lamp posts, and a drainage system. Civilization, finally! 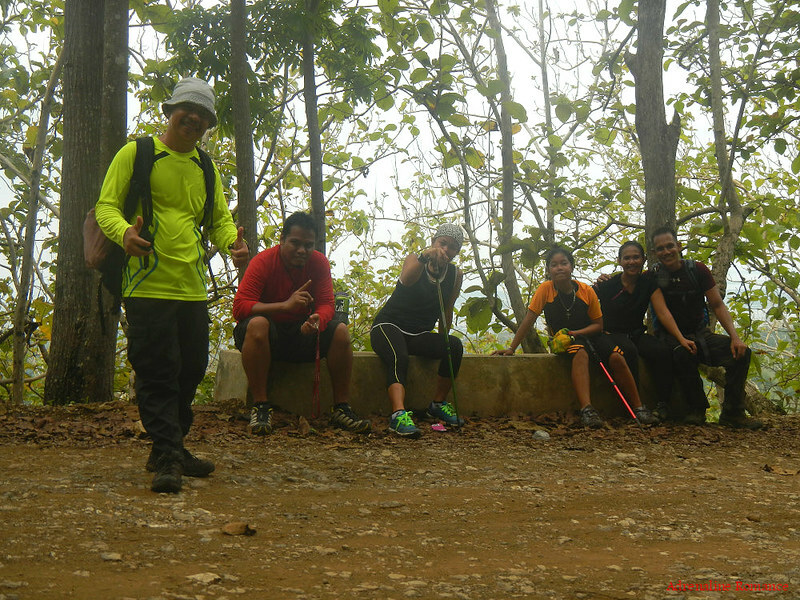 Laughing at our exhaustion, Sir Ed said that the real end of the trek is the summit of Mt. Babag, which would take another couple of hours or more, but we were simply too tired to continue. For a warm-up trek, this was quite enough! 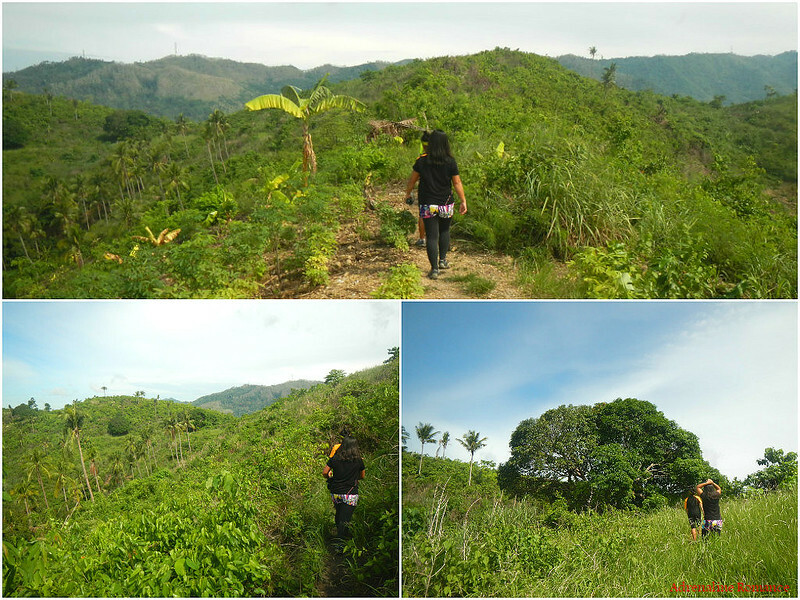 We walked along the road for a quarter of an hour until we reached the small mountain barangay of Pamutan. We took a long break here and refreshed ourselves with crackers and ice-cold soda. Hayo joined a few locals in belting out karaoke songs. This is another thing that we always look forward to in our treks. Interacting with locals, knowing their stories, and learning the history of their place always make us realize that our country—and the world—is not made up of stereotypes and biases. Several karaoke songs and three bottles of soft drinks later, we were ready to go home. We hailed three habal-habals to take us back to the city. Looks like a tight fit, doesn’t it? 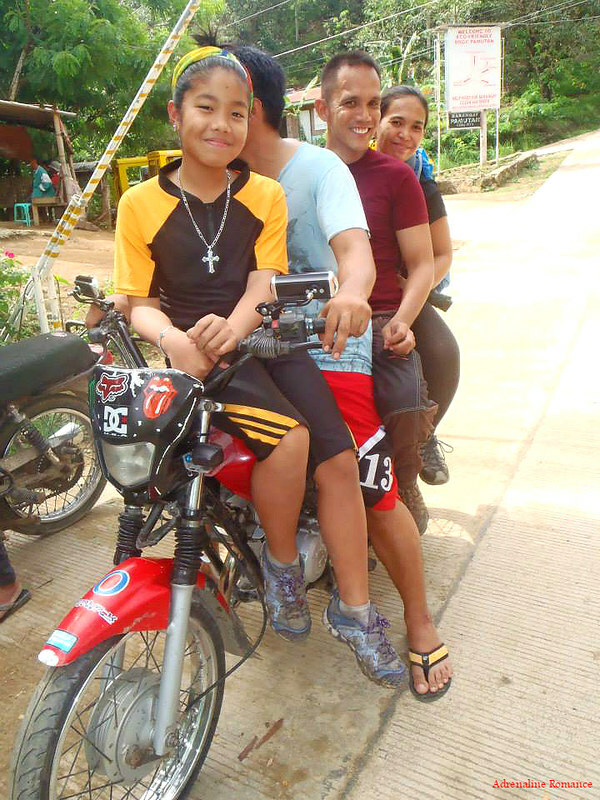 Riding a habal-habal is an integral part of traveling and adventuring in the Philippines. After arriving back at the city, we rewarded ourselves with huge servings of ice-cold halo-halo. Nothing beats the sweet and cool taste of a perfect halo-halo on a hot afternoon. 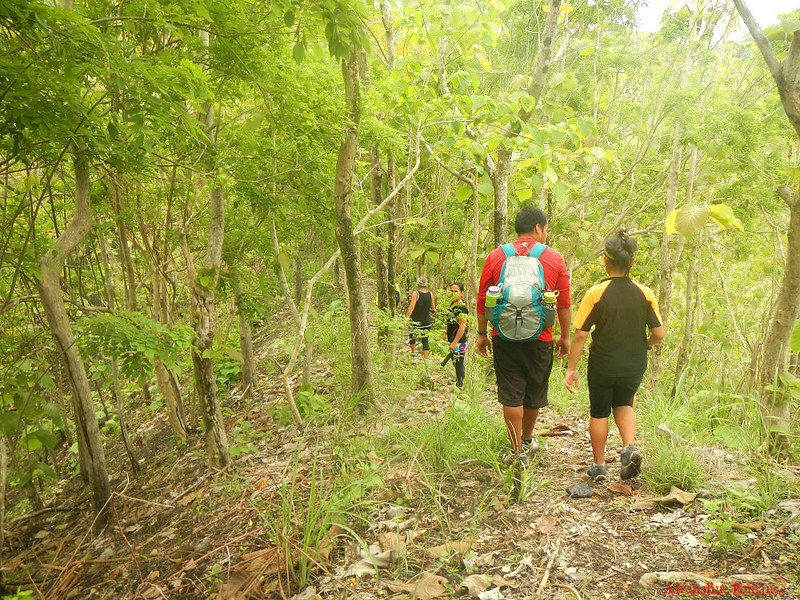 Thank you very much, Sir Ed, adventuring couple Hayo and Princess, and their beautiful daughter Natalie for accompanying us in our warm-up trek and letting us explore another part of CCPL. 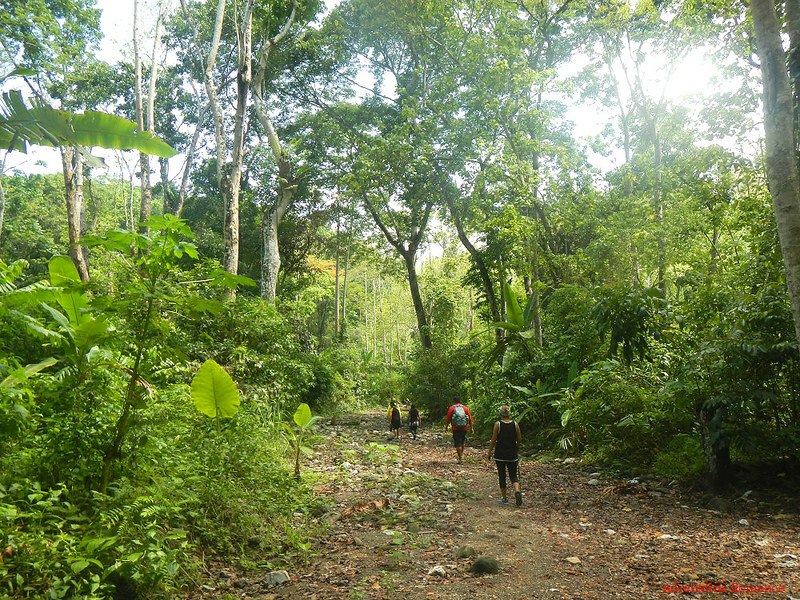 This is one of the best local treks we’ve ever had. We have to do this again, guys and truly reach the summit of Mt. Babag! 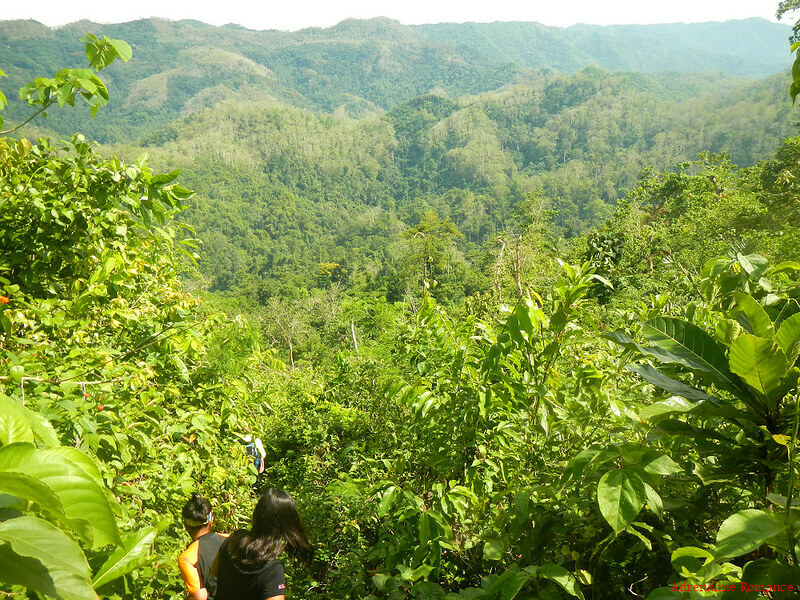 The CCPL is one of the last natural treasures we have in Central Cebu. It constitutes a significant role in supplying us with fresh water and protecting the land from erosion. 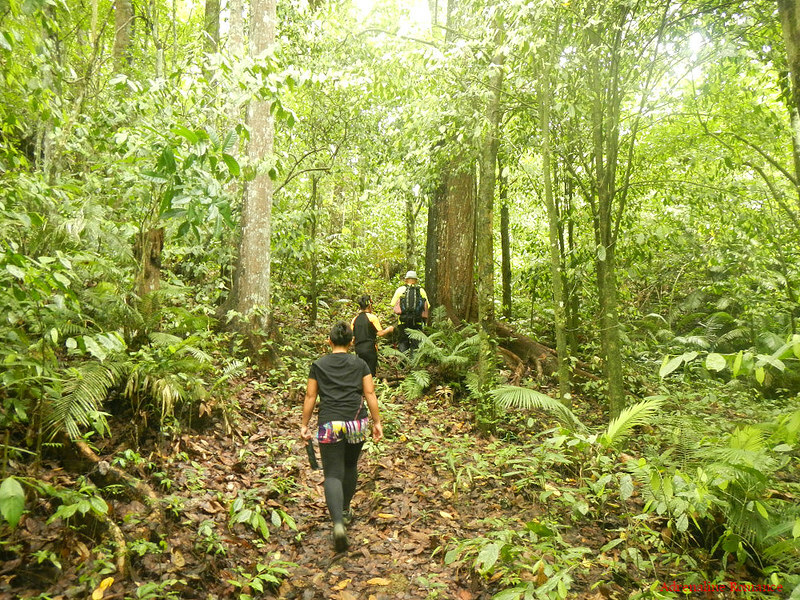 It is home to indigenous, endemic, and threatened species of flora and fauna. Let us protect it for our island’s future and survival. 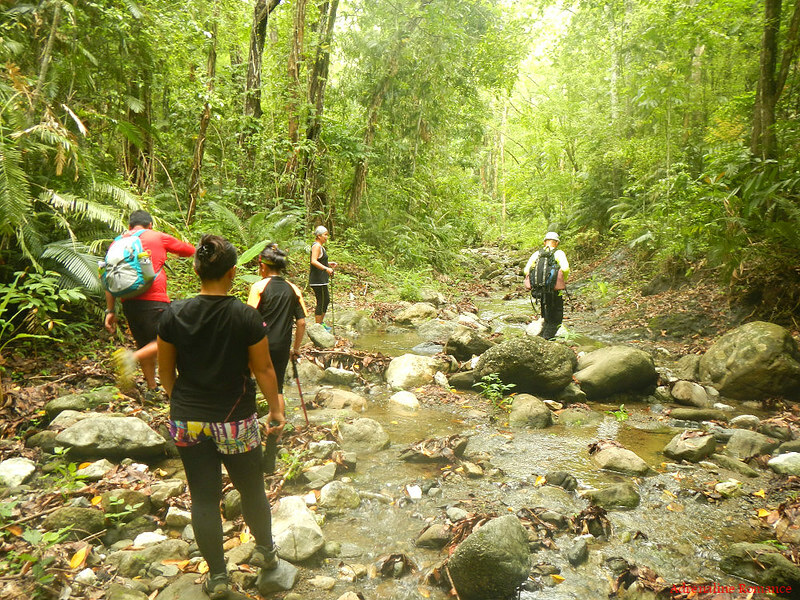 Special thanks to Sir Jing Lavilles de Egurolla, master bushcrafter, Camp Red founder, and owner of the bushcrafting blog Warrior Pilgrimage by Pinoy Apache, for the detailed information on CCPL. 1. For guideship services, please contact Sien at 0922-6351960 or 09169676753. You can also find him in Facebook, or visit his page Freedom Canyoneering. 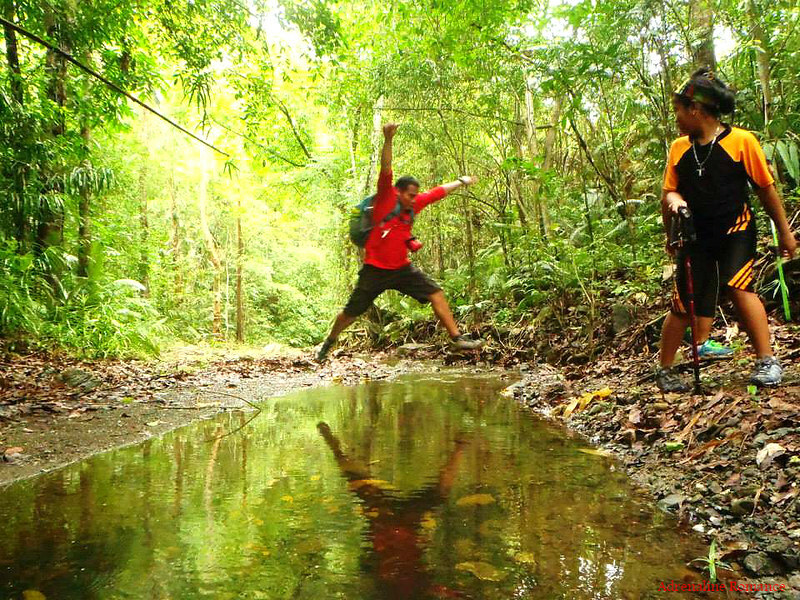 You can also log into the Enthusiasts of Cebu Outdoors (ECO) Facebook page and ask for guideship services. Please negotiate the guide fee with them. 2. This is a perfect adventure for cash-strapped adventurers. As you can probably infer from the estimated budget above, this trek is pretty cheap. You’ll probably spend more on drinks and snacks than the actual essentials of the trip itself. 3. The trek to the southern ridge is moderately exposed. Thus, don’t forget to bring a wide-brimmed hat, scarf, or umbrella to protect yourself from the heat. Don’t hesitate to tell the guide to stop if you feel exhausted. 4. 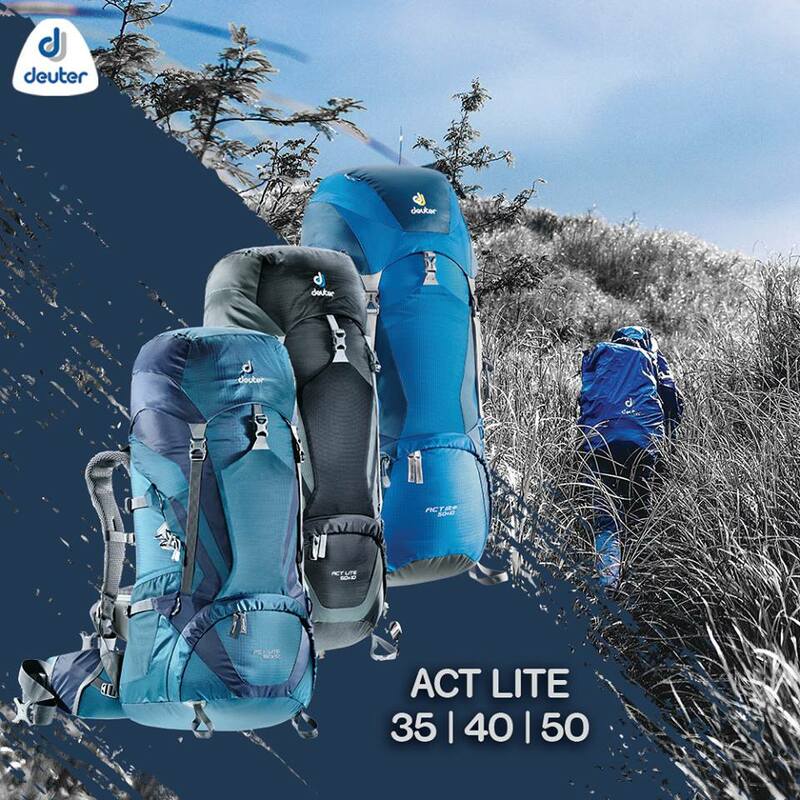 Wear arm guards and trekking pants to protect your skin from the sun and prickly plants. Also, a dry-fit shirt or rash guard will help keep you cool. 5. On your way and inside the CCPL, make sure you’re in visual range of each other. 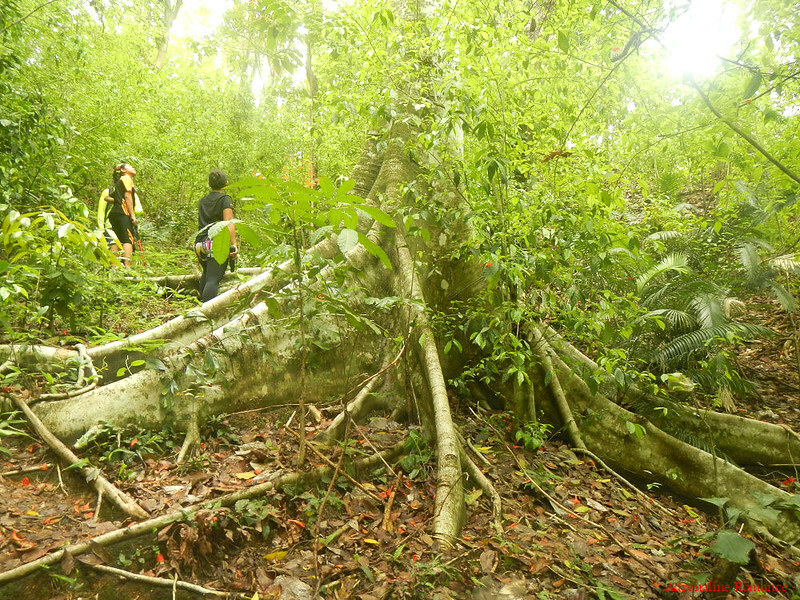 There are many trails (or paths that seem like trails) that lead deeper into the protected area. If the gap between teams is considerable, the tail end of your group won’t be able to see the lead group due to the thick vegetation blocking your line of sight. Always be on the lookout for the people behind and in front of you to ensure safety. 6. 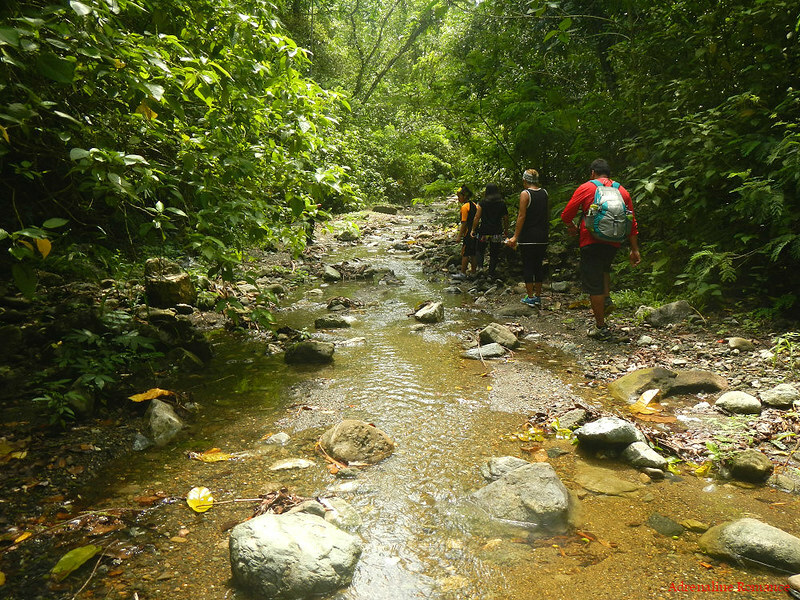 Be prepared to get your feet wet as you go around the riverbed. 12. Remember that you are in a protected area. So please mind your trash; do not leave any of your garbage behind. This is a magnificent place and every inch of this wondrous area ought to be preserved! Thankfully it’s protected – it is protected, right? Hey, long time no hear, maam! Yes, it is protected although the DENR catches a few illegal loggers in the area from time to time. Hahaha! 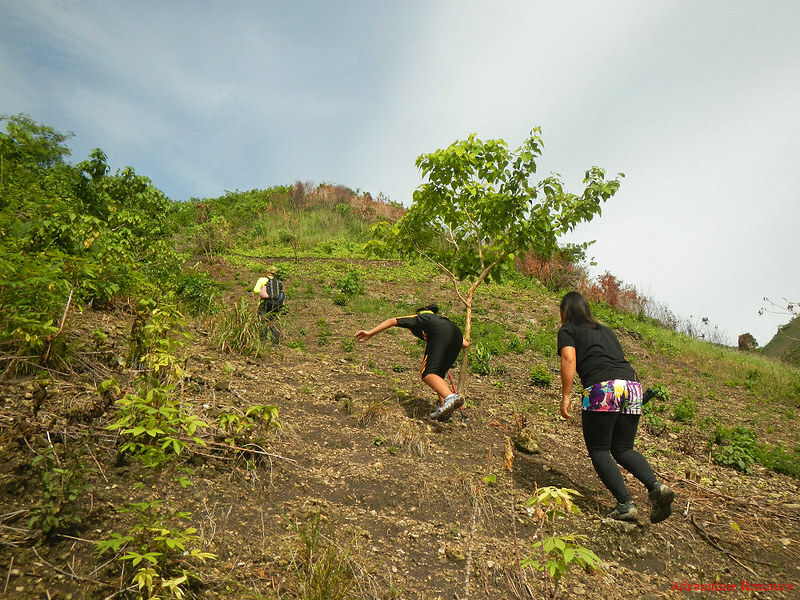 Naay parts nga steep kaau ang ascent. Then, at the start, the trail is very exposed to the sun.